Upon arrival to Interlaken, private transfer to your Hotel. Next morning is free at your leisure. 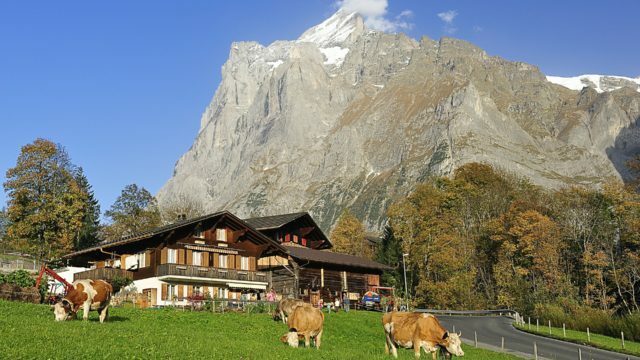 In the afternoon you will enjoy a guided tour that shows traditions of Swiss culture. Visit to a local farm to taste freshly made cheese and milk. Full day excursion to Jungfraujoch, the top of Europe. Go aboard of a cogwheel train in Grindelwald. Once in the top You are free to stroll through the tunnels of ice palace and enjoy the snow of the fascinating alpine wonderland. Upon arrival in Interlaken, private transfer to your hotel. Overnight: Royal St. Georges or similar. The morning is free at you leisure. We recommend you take a ride to the Harder Kulm Mountain with the funicular that offers you an astonishing view overlooking the town of Interlaken, the Thun and Brienz lakes and the Alps. In the afternoon enjoy a guided tour that shows the traditions of the Swiss culture. You will visit a local farm to taste freshly made milk and cheese. In addition, you will learn about the ancient craft of the woodcarvers and the production of “the best chocolate in the world”. Don´t miss the highlight of any Swiss holiday and join the regular full-day excursion to Jungfraujoch – Top of Europe! You board the cogwheel train in Grindelwald for a spectacular ride via Kleine Scheidegg to Jungfraujoch. Once on the top, immerse yourself in the fascinating Alpine wonderland of ice, snow and rocks. Don‘t forget to stroll through the tunnels of the Ice Palace located in the heart of the glacier. Afternoon return to Interlaken.